Should we as teachers or parents to worry when we note a kid who draws upside down? Our brain does not completely form the concept of left and right until somewhere between the ages 5 to 8. This means that almost all children will have persistent reversals when they first start writing & drawing. So, stay calm, and don’t ever limit your kid’s creativity by constantly pointing out what is wrong. For instance, when your kid learned to walk, you wouldn’t have kept telling your kid to stop because not proper or of trying to correct every step of your kid. In this connection, do avoid making a big deal & correcting your kid. The over reactions & corrections may then discourage your kid from future attempts at writing & drawing. Actually it is also an art technique that we called as observational in most of the art schools, especially for fine artist. When we turn an image upside, it looks unrecognizable & our visual system will create a shape allusion to help our brain make sense of what we are looking at. When images are turned upside down we see line, shape, tones and light much clearer & more vivid. And we are more focused on the simple forms our brain is to recognizing rather than the complex visual perception in our memory. It also tries to make out shapes & negative space. As a result, when we turn drawings upside down often while working to check ourself & to see proportions easier. Am looking forward to my next milestone achieved in near future! Let’s keep in touch! 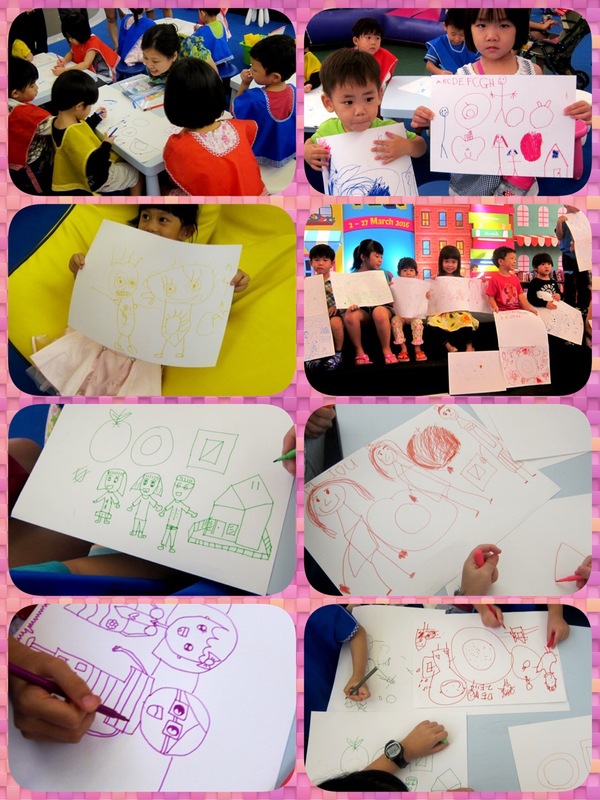 Until in one of the art sessions, he told, ‘Teacher Sienny, I am a Japanese.’ And I then started to learn Japanese from him 😊 We are exchanging or perhaps system barter trading between us 😉 I teach him art doodling & he teaches me Japanese. Yeah! Always enjoyable sessions with him! 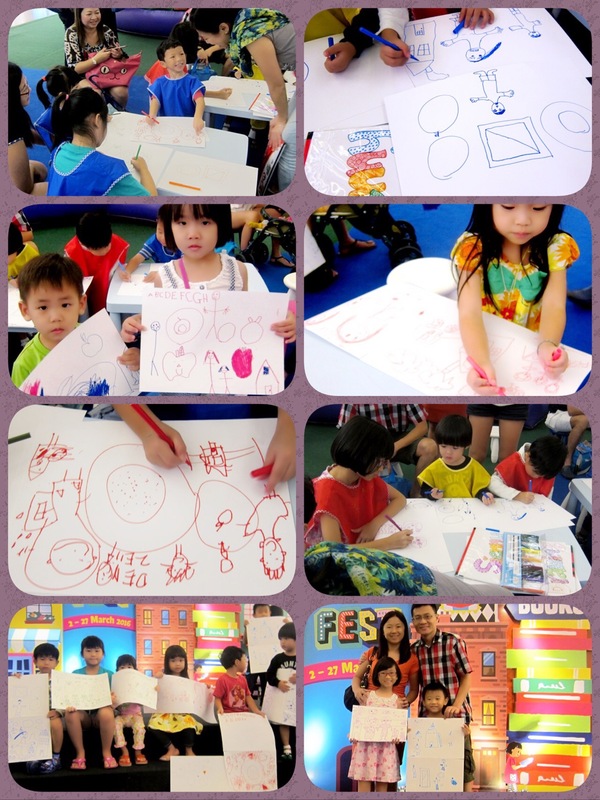 He is a very detailed, diligent & well mannered little artist. 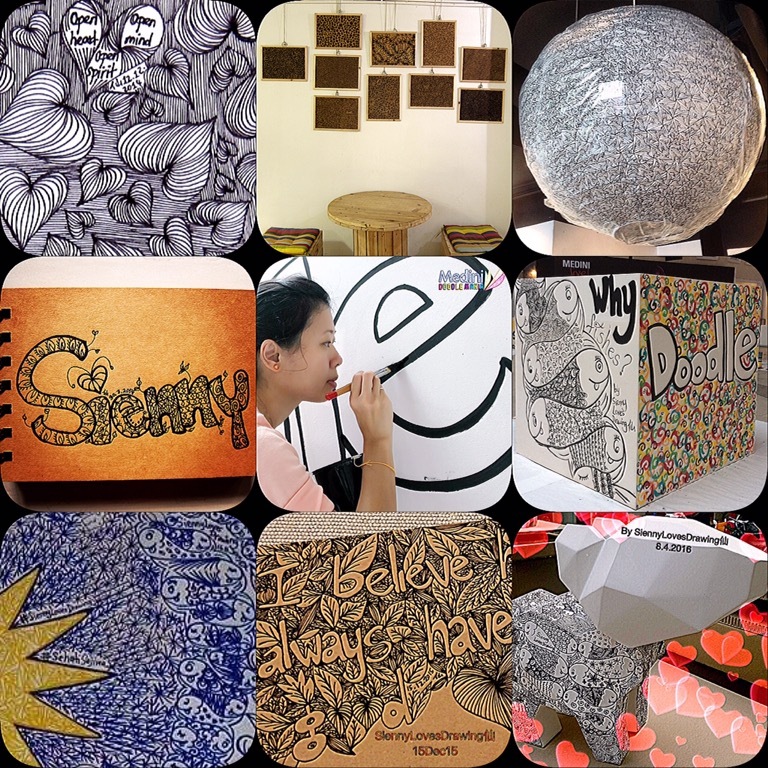 He is focus in doing his artworks. Progressively, SiennyLovesDrawing is introducing him to feel & use difference art materials, crayon, watercolour, skills, using brushes, mixing colours etc. 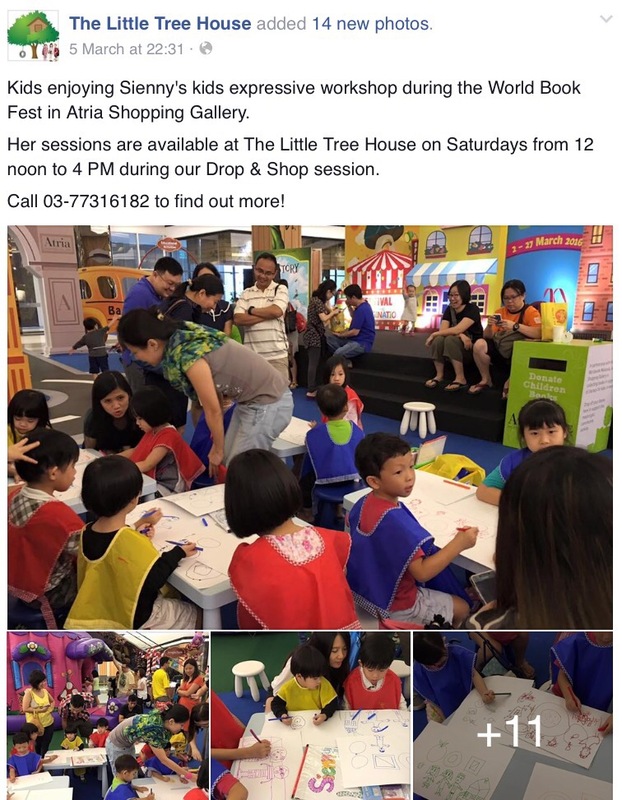 SiennyLovesDrawing was being invited & engaged by Atria Shopping Gallery & The Little Tree House to conduct a kids expressive art workshop for Happy Easter celebration. 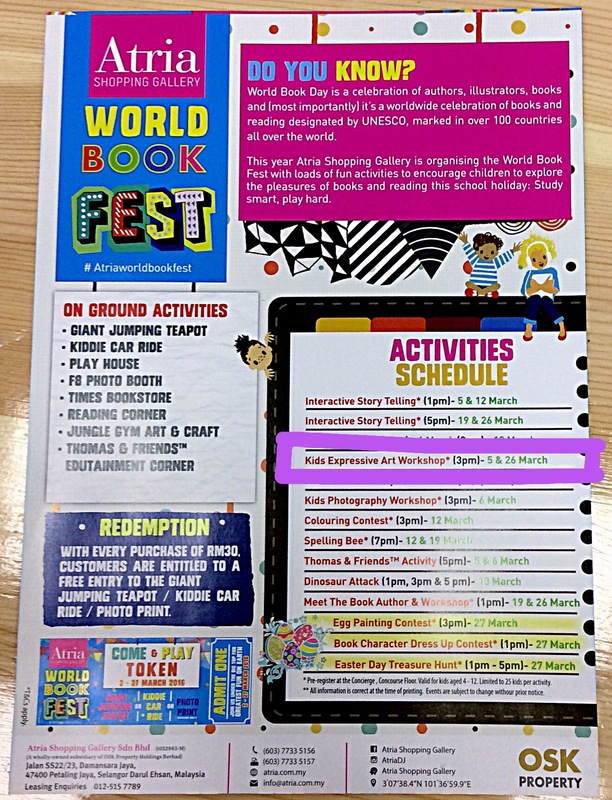 Recently SiennyLovesDrawing was being invited & engaged by Atria Shopping Gallery & The Little Tree House to conduct a kids expressive art workshop for their World Book Fest celebration.